These two documents enable you to plan for your future health care by designating an agent to make decisions for you and stating the types of medical treatment you’d like to receive if you suffer from certain medical conditions. 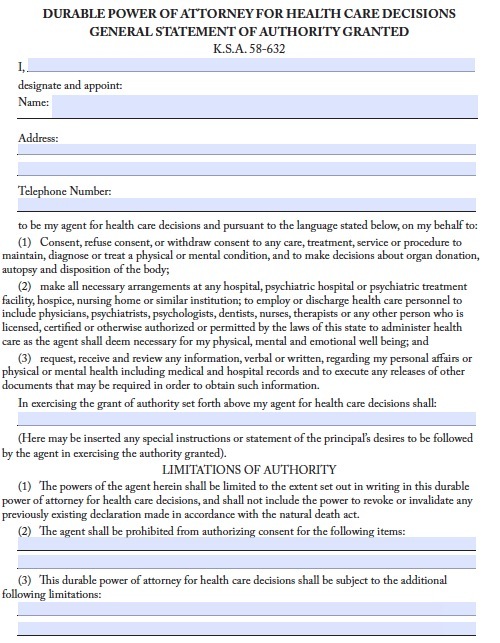 The durable power of attorney allows the agent to do the following on the principal’s behalf: consent or refuse to consent to any treatment for any mental or physical conditions, make arrangements with medical facilities, request or receive medical records, and employ or discharge healthcare personnel. You can write in special limitations to this authority, and you can revoke it any time by creating another power of attorney and executing it properly. A living will lets the principal state how to proceed if he or she develops a terminal condition that will result in death in a short time, and where life-sustaining treatments are merely prolonging the dying process. You can direct that physicians withdraw all of these treatments so that you may die naturally. Or you may specifically choose only one or a number of treatments you do not wish to receive if you had a terminal condition, such as artificial respiration, surgery, heart-lung resuscitation, dialysis, or artificial nutrition.